There are endless ways to incorporate your natural surroundings - flowers, field, fruit - into your wedding or special celebration. We often think of elements like weathered barn wood and canning jars to set a rustic, country atmosphere where guests can relax, and enjoy the simple pleasures of food and good company. 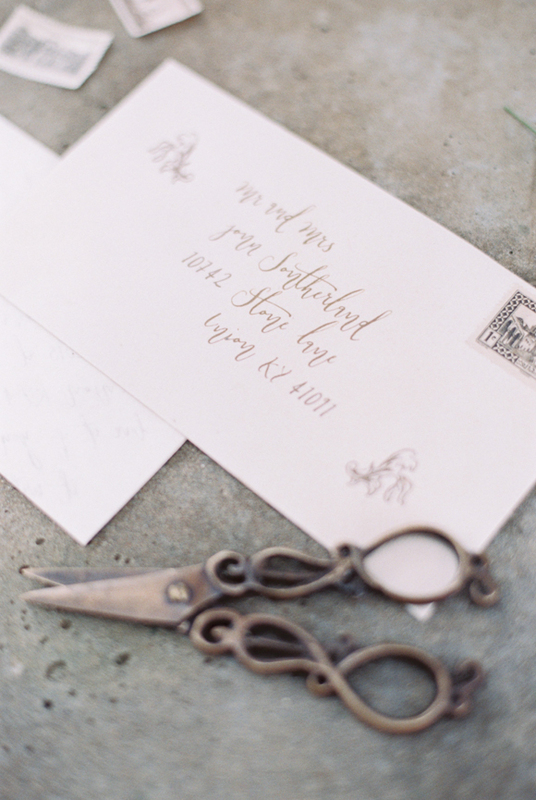 In this inspired wedding shoot featured on Wedding Sparrow, however, a talented group of planners, photographers, stationers, and designers departed from the usual decorative elements of the country to create a timeless, dreamy ambiance using a soft, subtle color palette, airy fabrics, laces, and fresh woodland cuttings. Queen Anne's lace is a chameleon wildflower that can be paired with everything from tulips to billy balls to lupine and will do the work of setting different moods depending on its mate. We love adding it to wedding florals to see what it can do. Want a soft, spring bouquet of softness? Snuggle it up to some pink sweet peas. Grab a long piece of linen and wrap it up with a handful of sunflowers for instant summer happiness. For this early spring day we paired Queen Anne's lace and small ivy with one of the earliest risers of the season - the hellebore also known as the lenten rose. Hellebores were originally brought from Europe and over the years a niche of expert growers have provided the market with a rich palette of colors from smokey coal blacks to satin pinks and honey yellows. We chose an earthy green hellebore with burgundy, milky white and chartreuse markings. It's painterly petals resemble the young skin of the pomegranate. The overcast day provided the perfect light and infused everything from linen to vine with a glowing, effervescent quality.